Myth : Colostrum (milk in first 2-3 days after delivery) should be discarded because it is stale and is not for the baby. Fact : Colostrum is neither stale nor harmful to the baby. Colostrum contains a lot of infection fighting substances. It is rich in vitamins K and A. It is highly nutritious and must be given to the baby immediately after birth. It is the first immunization of child. Hence, it is criminal to discard it. Myth : Baby should be given honey, sugar water or jaggery water before the first breastfeed to welcome him to this world. Fact : These substances given traditionally before the first breastfeed are called prelacteal feeds and are not necessary. They interfere with establishment of breastfeeding and can introduce infection into the newborn's vulnerable system. 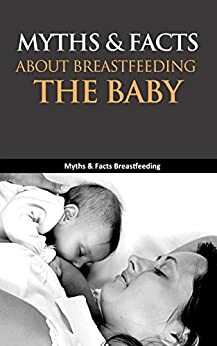 Myth : Small breasts produce less milk. Fact : Milk production depends on secretory glands in the breast that are same in number in all breasts. Its supportive fatty and connective tissue determine the size of a breast. Small breasts produce milk as efficiently as large breasts. And BUY this book, if you want more!